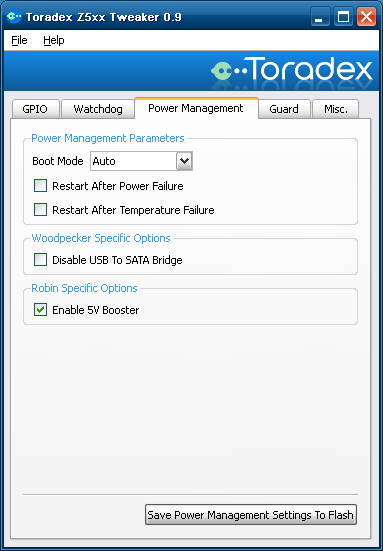 The Woodpecker and Robin module can be configured to boot without pressing the power button. There are two ways to get this configuration. The first way is to modify the boot mode of the Embedded Controller whereas the second way is to modify the power supply to an AT like scheme. Wait For Button: The module waits in S5 state for the power button when the voltages ramp up. Set the boot mode to Always Start in order to get a power button less booting. 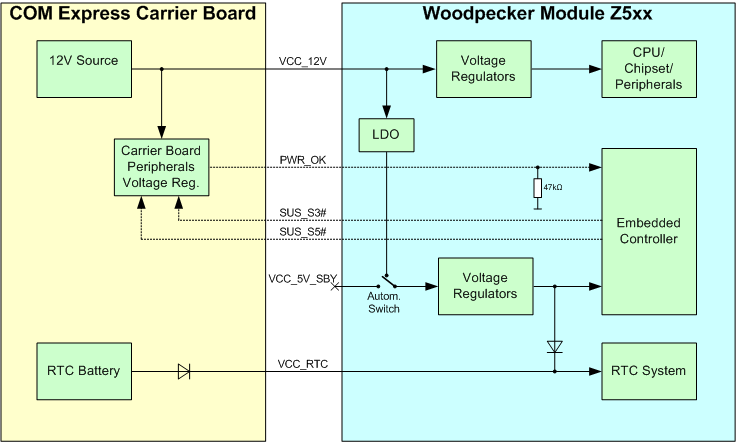 Please refer to the according description of the embedded controller feature report commands in the datasheet of the Woodpecker or Robin module. If you are using Windows XP or Windows Embedded Standard, you can use the [[Toradex_Z5xx_Tweaker_Tool_(Woodpecker,_Robin)|Toradex Z5xx Tweaker Tool]] for modifying the boot mode. Important, the boot mode needs to be saved in the flash of the Embedded Controller. The default boot mode is "Auto". In this mode, the module detects the availability of the standby voltage after the main power supply is ramp up. If the standby voltage is missing, the module will boot directly without waiting for the power button signal. 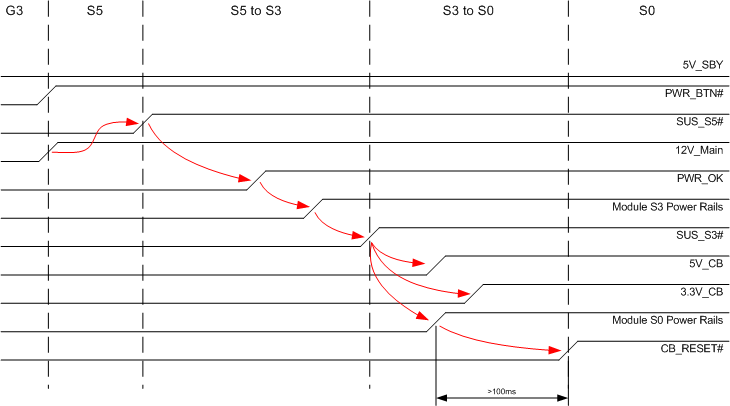 The following picture shows the AT like power scheme.